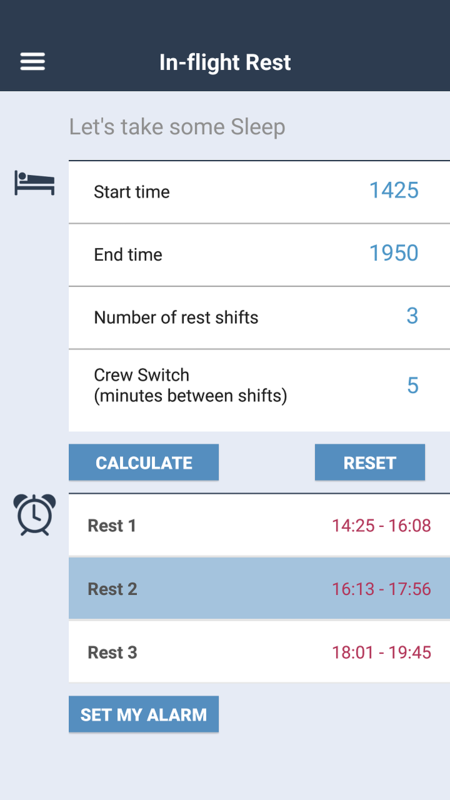 Start, end and number of crew. We calculate your rest. 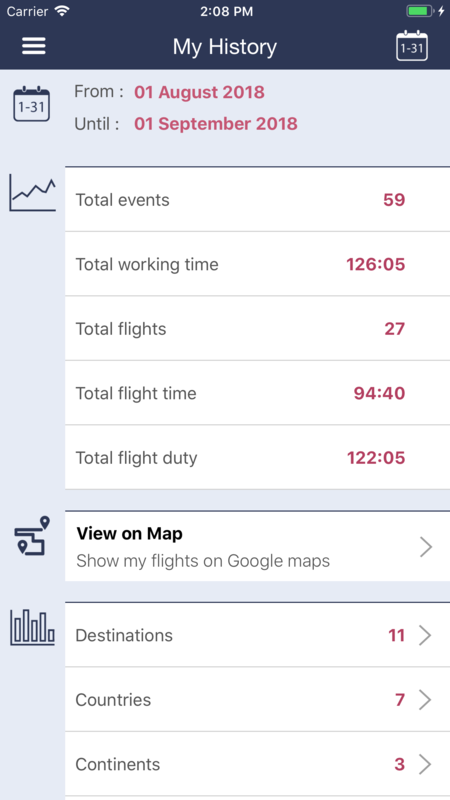 See when, where, how long and who you have been flying with. You have full control over your privacy settings. You decide what to share, and with whom. 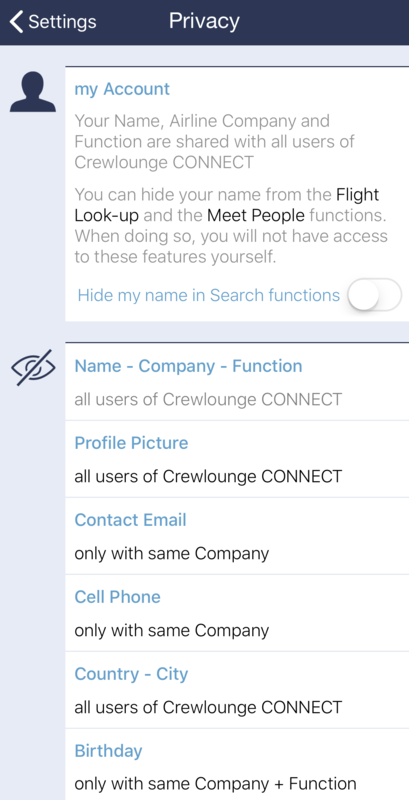 Find colleagues with shared interests… or meet up with other crew members on a layover for shopping, sports or more. 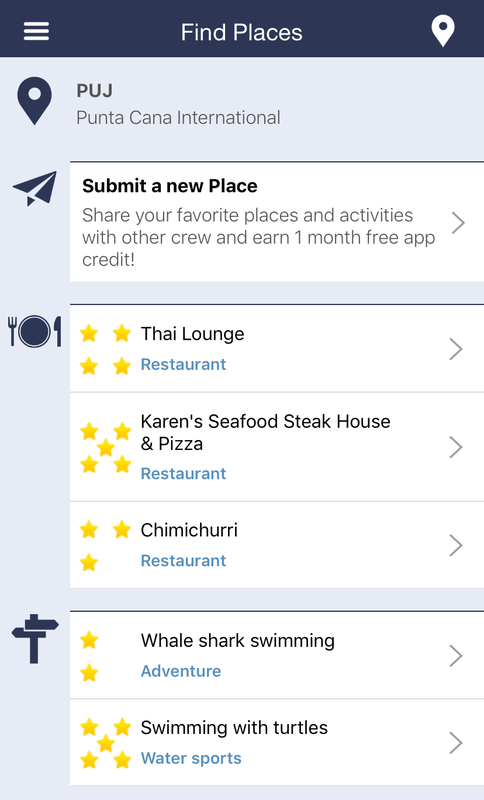 Discover places to visit and restaurants with crew discount. 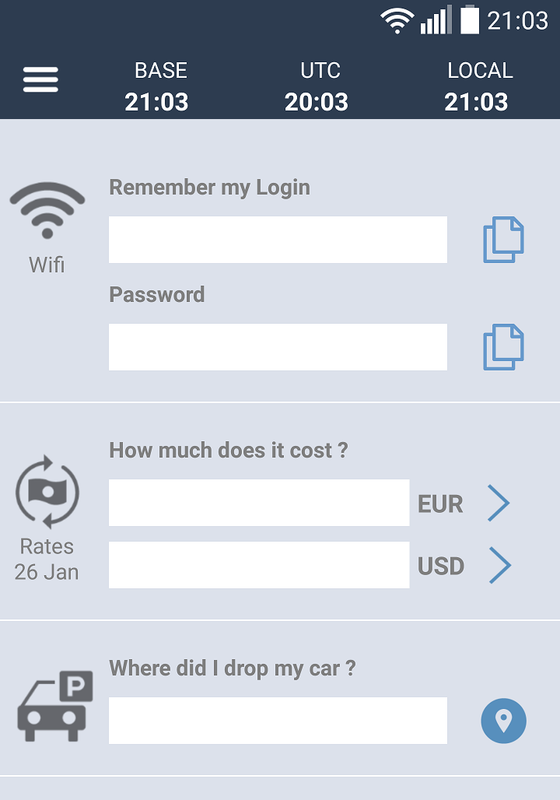 Grab your car’s location with GPS, store your hotel room number and WIFI info all on one page. Additionally, use the currency converter and 3 handy dandy wall-clocks: Local, base and UTC time. 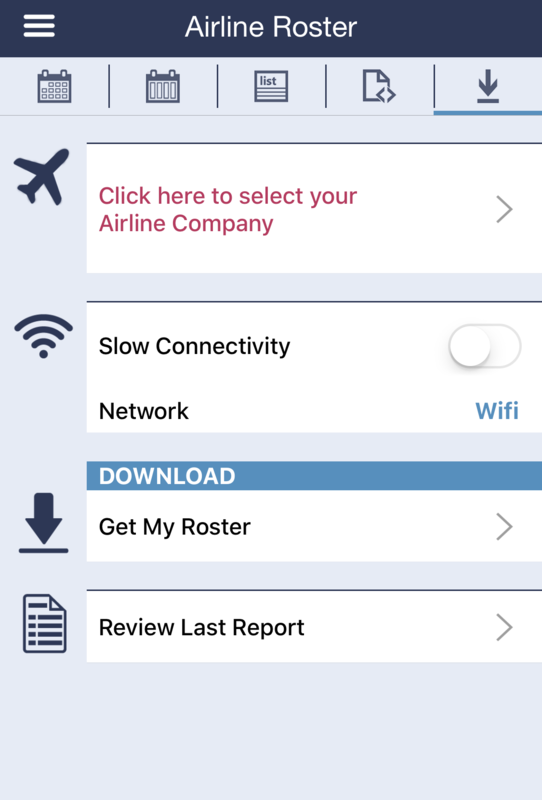 Downloading your roster doesn’t get any easier. One click on the button, that’s all it takes. 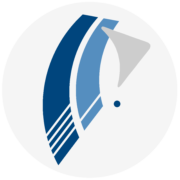 Time to fly home… Calculate and share the pick-up time when on layover. 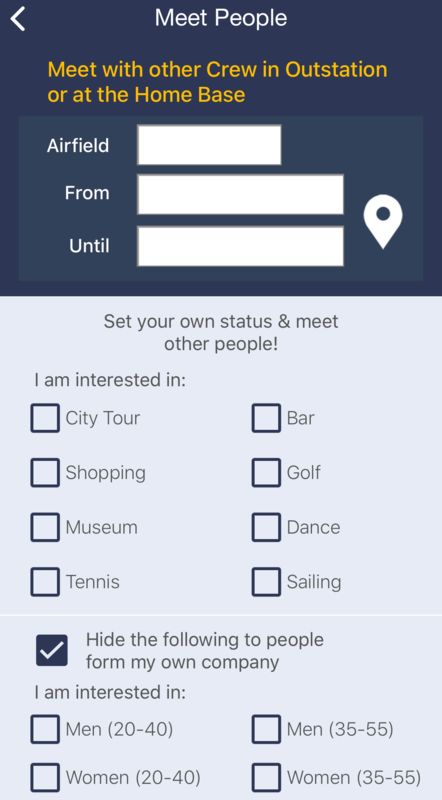 Add people to your friend-zone and allow them to see your schedule.